With our announcement of adding support for API Accounts, we are also taking action to secure the reliability of our platform. 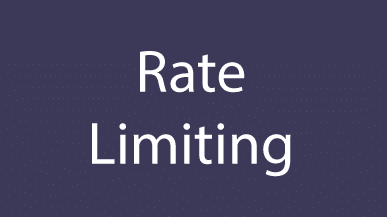 Rate limiting allows an API Account to make a certain amount of request per second to a business’s data before being throttled. If exceeded, a response status code of 429 will be returned and the request can be attempted again in a moment. On top of API Accounts being limited, end users will also be limited. This can happen if there are too many business users attempting to access the business’s information at the same time. If you need an increase in rate limits for users or API Accounts, feel free to contact our support team(support@channelape.com).